To reclaim an ancestral couch upon which esteemed rabbis slept, Pearl Gluck travels from her Hasidic community in Brooklyn to her roots in Hungary. Along the way, a colorful cast of characters gets involved - the couch exporter, her ex-communist cousin in Budapest, a pair of matchmakers, and a renegade group of formerly ultra-Orthodox Jews. Divan is a visual parable that offers the possibility of personal reinvention and cultural re-upholstery. Tuesday, August 12, 8:00 p.m.
U.S. premiere! One of the greatest Yiddish actors and directors of Moscow�s Yiddish State Art Theatre, Solomon Mykhoels made his film debut in this adaptation of Sholom Aleichem�s Mendel the Matchmaker. Like Buster Keaton, Mendel falls into one hilarious calamity after another. (Russia, 1925, 90 min.) Silent with English intertitles and live music by the Cracow Klezmer Band. Your friends and colleagues will be there. You can learn a great deal about today's world of Yiddish. So come on down. 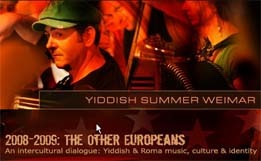 For particulars and to download a registration form, visit fishl kutner's site �www.derbay.org. Baltimore's the place to be this September. Kumt, kinderlekh, kumt. Pearl Gluck's film (description below) w/ music by Frank London will be shown again at the Museum of Fine Arts, Boston on Thursday, June 24, 8pm & Sunday, June 27, 2pm. Worth seeing (and the music is good!). Tickets: MFA members, seniors, and students $8; general admission $9. BJFF members receive the discount price. Although most events start on Wednesday, the 25th, musicians should arrive this morning with the first workshops scheduled for this afternoon. Today is the day to arrive, get oriented, and get in some preliminary jamming. It's the 10th anniversary of a great klezmer gathering. Musicians gather on the 21st, everyone else on the 24th. We'll post more details here as they come together towards the event. 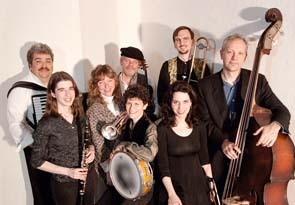 Yiddish film clips/lecture project with Metropolitan Klezmer live! Glory, Mamele, Yidl Mitn Fidl, rare Soviet Yiddish theater newsreels & more! 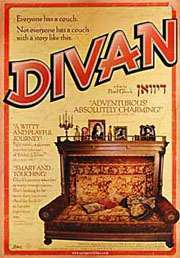 Join Yiddishkayt Los Angeles, Workmen's Circle, UCLA Center for Jewish Studies, Jewish Community Library of L.A., and Jewish Genealogical Society of L.A. for Divan, presented by Director Pearl Gluck, with Q&A following the screening. Thursday, MAY 18, 2006 at 8:00 p.m.
"The Celluloid Closet of Yiddish Film: Gay + Lesbian Subtext from a Cinema of Diaspora"
A film clips-lecture by Eve Sicular, with Metropolitan Klezmer full octet live! Seating for the screening is limited, but $11.00 tickets are available in advance online at www.MagicalFilmFest.com/37.html until Monday October 2nd or at the box office from Friday October 6th subject to availability. Parking is available at the underground structure at the Hollywood Highland Entertainment Complex for $2 after box office validation. Benefit screening—Fabienne Rousso-Lenoir in person! 2005, Fabienne Rousso-Lenoir, 58 min. Monday, October 23, 6:00 p.m. Following the screening there will be a panel discussion with director Fabienne Rousso-Lenoir. (Maxwell St. Klezmer leader Lori Lippitz will also participate.) The audience is invited to a reception, sponsored by L. Woods Tap & Pine Lodge, in the Film Center's Gallery/Café after the screening and panel discussion. Admission is $20. Proceeds benefit the educational programs of the Gene Siskel Film Center. No blue passes valid for this screening. YIDDISH THEATER: A LOVE STORY directed by Dan Katzir, produced by Ravit Markus. Center for Jewish History, 15 West 16 St, NYC. F, V, L and Path trains to 14th St. and 6th Ave.
Part of the Barbican’s silent film / live music series, Lemez Lovas, formerly of Oi Va Voi, directs guest musicians Moshikop and Rohan Kriwaczek in an irreverent live performance of a score for East and West – especially prepared for the JCC – that played to sell-out audiences in 2005 and 2006. In Sidney M. Goldin and Ivan Abramson’s silent movie (1923), streetwise New Yorker Mollie (Molly Picon) travels to her demure cousin’s wedding in a traditional Polish shtetl. Lovas, Moshikop and Kriwaczek’s cheeky new score takes us from traditional klezmer to contemporary electronica, from liturgical melancholy to party pop kitsch and from vaudeville to breakbeat. As love blossoms between East and West, and the musical narrative unfolds, traditional and modern worlds are brought into collision. Check out a trailer for the gig here. The Jewish Public Library presents the third of a three-part Yiddish Film Series on Humour, the 2004 film It Sounds Better in Yiddish on Sunday, March 2, 2008 at 2:00 p.m. at 5151 Côte Ste-Catherine Road, Montreal. In Hebrew with English subtitles. Introduced by Rivka Augenfeld. Refreshments served. Sponsored by Miriam Blacher Glasrot and Josef Glasrot Endowment. Admission: $5 JPL members/students, $10 others. Call 514-345-2627 ext. 3006 for tickets and information. This film, featuring comedians Dzigan and Shumacher, showcases the complex relationship among Yiddish, yiddishkeyt, and Hebrew in Israel, as well as the process of merging Yiddish and Israeli humor. Dzigan and Schumacher began their careers in Lodz in the late 1920s, fled to the Soviet Union with the outbreak of World War II, where they were imprisoned in Siberia, and immigrated to Israel in 1950. At the 1966 Berkeley Folk Festival, a young rabbi took the stage, humbly sandwiched between higher profile acts Pete Seeger and Jefferson Airplane. Armed with a guitar, he began to sing. Shlomo Carlebach was a brilliant young Talmudic scholar who had been sent by the Lubavitcher Rebbe to bring the Torah to the hippies of San Francisco. But when his love for them transgressed the boundaries of halacha (Jewish Law), he was shunned by the Orthodox establishment. This documentary, screened at the 2007 Jerusalem Film Festival, features Carlebach's friends, doubters and followers as they discuss the counterculture rabbi's life and works. Though he passed away thirteen years ago, his influence is felt far and wide in eponymous minyanim around the world. The Celluloid Closet of Yiddish Film: "A yingl mit a yingl hot epes a tam?" SPIEL: Holocaust on film with John Hurt, Tracy Ann Oberman, Joanna Newman and Jason Solomons. Actress and co-writer of Three Sisters on Hope Street, Tracy Ann Oberman, BAFTA award-winning John Hurt, star of countless films including Alien and Shooting Dogs, and Dr Joanna Newman, co-author of Holocaust and the Moving Image, join host and Observer film critic Jason Solomons to look at the shifting portrayal of the Holocaust in film. Over the evening, we’ll be considering the change in representation from 80s award-winning films Europa Europa and Au Revoir Les Enfants, through Schindler’s List to 2007’s European films Black Book and The Counterfeiters and recent portrayals of other genocides, including Shooting Dogs and Hotel Rwanda. We want to let you know that our good friend Mark Tipton, (occasional sub with the Tummlers and central member of Zhok Therapy), has written an original score for the 1920 silent film, The Golem. It's going to be shown, and performed, this week, Wednesday and Thursday evenings, at One Longfellow Square. This is going to be a rare and exciting event. We hope you can make it. Accompanying the symposium "The Other Europeans" is an outdoor film festival at Marstallhof Weimar featuring both popular and documentary films with critical commentary by directors and critics. It starts at 9 p.m.
"Gypsy Klezmer" & "Carpati: 50 Miles, 50 Years"
Fine Foreign Film is back!!!! We will be sharing the evening with the modern music virtuosos The LaCrosse Trio. dance sailorHop on the Eurostar for another chance to see the highly acclaimed commission of a new live soundtrack for the classic 1923 Yiddish silent film East and West. In Sidney M Goldin and Ivan Abramson's silent movie (1923), streetwise New Yorker Mollie (Molly Picon) travels to her demure cousin's wedding in a traditional Polish shtetl. Lovas, Moshikop and Kriwaczek's cheeky new score takes us from traditional klezmer to contemporary electronica, from liturgical melancholy to party pop kitsch and from vaudeville to breakbeat. As love blossoms between East and West, and the musical narrative unfolds, traditional and modern worlds are brought into collision. ¡Fiestaremos! 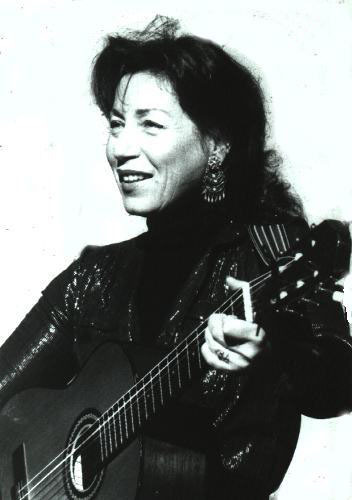 presents the inspiring work of the late Bay Area musician, singer, and researcher Judy Frankel. This thirty-minute documentary captures some of the loving relationships Judy fostered with members of the Sephardic community, and her dedication to preserving the Ladino musical heritage. Kate Regan is associate professor of Spanish language and literature at the University of Portland, where she was named the university's outstanding teacher in 1999. Born in Chicago, she moved with her family to Cuernavaca, Mexico when she was nine. Professor Regan is the recipient of the 2000 Carnegie and Case Foundations U.S. Professor of the Year award. The Coolidge Corner Theatre presents THEREMIN: AN ELECTRONIC ODYSSEY, the 1994 documentary about the unusual electronic instrument and the strange life of its inventor and namesake, Leon Theremin, on Monday, Jan. 19 at 7:00 p.m. Before the film, MIT Professor of Music and Media Tod Machover will discuss his pioneering work as a composer and inventor of new technologies for music. This program will also feature Q&A with Machover after the movie and a short performance by orchestral thereminist Dalit Hadass Warshaw. Admission: $9.75 general public; $7.75 for students and Museum of Science members; free for Coolidge members. A Cantor's Tale has received rave reviews for its exploration of the American roots of "hazzanut" (liturgical music) through the eyes and voice of Brooklyn-born Cantor Jacob Mendelson. The New York Times called him "a voice that heralds a culture." This feature length documentary provides a nostalgic journey through family, neighborhood and tradition. Q&A with Cantor Mendelson will follow the film. This documentary film is the story of Miami's tropical Yiddishland following WWII, when Miami was a hotbed of Jewish life and entertainment. Yiddish vaudeville and theatre were performed at dozens of venues, and Yiddish ballads and folksongs were kept alive along Ocean Drive. The film features famous Yiddish actors and singers from the period. Q&A with the producer David Weintraub will follow the film. Yale Strom & Hot Pstromi in concert with a screening of Strom's new documentary film, "A Great Day on Eldridge Street", based on the iconic photo shoot of October 12, 2007 (over 104 of your favorite klezmer and Yiddish artists) at the Eldridge Street Synagogue. There will be a memorial concert to honor the life of Judith Wachs, the founder and artistic director of Voice of the Turtle, who passed away in October 2008. The concert will feature Judy’s group, Voice of the Turtle, as well as Libana, the women's world music ensemble for which Judy served as a board member and occasional advisor. There will also be a short film about Judy's life and work with Voice of the Turtle. Please spread the word and pass on this announcement to anyone you know who might be interested in attending. This memorial concert is free and open to the public. Hoping you can join us to remember and celebrate the unique contributions that Judy made to music and to our lives. During the economic boom of the 1920s, thousands of immigrant Jewish factory workers managed to build the house of their dreams, a cooperative apartment complex at the edge of Bronx Park. Then they were hit by the Great Depression. At Home in Utopia bears witness to an epic social experiment across two generations in the Coops - a place the local cops called "little Moscow" - where people tried to change the American dream into one that included racial justice and workers' rights. The discussion after the screening will use the film, At Home in Utopia, to inspire an intergenerational conversation about collective action in the context of the current economic crisis. The Jewish workers in the Coops fought alongside others to win the social safety net that we're now at risk of losing. Where are our sources of collective identification today and what alliances do we need in order to fight for economic justice for all? Sponsored by Boston Workmen's Circle, New England Jewish Labor Committee, Jewish Organizing Initiative, Jewish Alliance for Law and Social Action, and Moishe/Kavod House, with Filmmakers Collaborative; made possible by the Mass. Humanities and Puffin Foundation. At Home in Utopia is a co-production of Michal Goldman and ITVS in association with WGBH. Tonight two documentaries, "The Peretzniks" and "Paint what you remember," the latter featuring Mayer Kirshenblatt talking about his work and pre-war Poland. Sunday, January 23, 2011 2:00 p.m. Admission: $5 students & Jewish Public Library members, $10 non-members. Call 514-345-6416 or 514-345-2627 ext. 3006 for tickets. World renowned singer/songwriter Chava Alberstein sets out to interview the last writers of Yiddish poetry, to hear their poems and stories. The film follows her journey and features a superb collection of Yiddish folk songs. Too Early To Be Quiet, Too Late to Sing is a personal film in which Chava Alberstein gives a voice to the last living Yiddish poets and expresses her love of poetry and Yiddish. Sponsored by the Miriam Blacher Glasrot and Josef Glasrot Endowment. 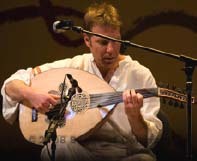 Thursday, February 17, 2011, 8:00 p.m.
West Bank Story: The Role of Humor and Art in Peace making. A special screening of Oscar winner film ‘West Bank Story’ with Yuval Ron residency, followed by Q&A with the composer and a live performance of themes from the film. with Maya Haddi - vocals, Jamie Papish - percussion, Yuval Ron - Oud. mystery and gangster genres. Oysher's only English-language film was also his last. He plays Leo, a concentration camp survivor suffering from amnesia. He discovers his beautiful singing voice while intoxicated, becomes the headliner at a New York nightclub and struggles to find out who he really is. Russian classic has been beautifully restored with new English intertitles by The National Center for Jewish Film. The band will do a mini-set after the film. Tickets: $15 in advance, $18 at the door. To purchase tickets click HERE. Co-presented by Jewishfilm.2011 The National Center for Jewish Film’s 14th Annual Film Festival. Sunday, April 29, 1:00pm, Ger Mandolin Ensemble Film. At the Croatian American Cultural Center, San Francisco. The San Francisco Festival of Mandolins will include a sneak preview showing of a half-hour film about the Ger Mandolin Ensemble, a project memorializing the Jewish mandolin orchestra active in Góra Kalwaria, Poland, in the 1920s and 1930s. 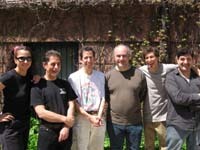 Avner Yonai, grandson of one of the few members to survive the war, joined forces with the Jewish Music Festival to organize this musical tribute in 2011. Tickets: $10 in advance at Brown Paper Tickets, $15 on site. More info: slavonicweb.org. As you may have noticed World Brunch Club took a little break recently as we searched for a new location for our culinary shenanigans. We are very pleased to announce that we have now found the perfect home in the newly-converted cinema and cafe Sugarhouse Studios (sugarhousestudios.co.uk) in Stratford. For our first event at Sugarhouse we will actually be making dinner - a Lebanese feast, followed by a screening of the film Caramel - en.wikipedia.org/wiki/Caramel_(film). We have 50 spaces available at £15/person for 2 (vegetarian) courses and the film. There is also a bar at Sugarhouse, but drinks are not included. The bar will be open from 6pm and we will be serving dinner at 7.30pm. PLEASE BOOK EARLY TO AVOID DISAPPOINTMENT! Book your ticket at www.wegottickets.com/event/167209. Monday, May 21, 7:30 P.M.
Click here to check out Alicia and Marilyn on Youtube! Join us for our Yidstock: the festival of new Yiddish music and be treated to a week of performances, music-related films, lectures, exhibitions and other events culminating in two days of concerts featuring some of the top names in klezmer and Yiddish music. Tickets may be purchased for individual events. Festival passes include discounted admission to the week's concerts, films, talks, and workshops presented at the Yiddish Book Center. Tuesday, December 4, 7:30pm, Hava Nagila (The Movie). Filmmaker Roberta Grossman will speak and answer questions after the screening. See November 18 event above for more about the film. At Rialto Cinemas, Sebastopol. Part of 17th Annual Sonoma County Jewish Film Festival. More info: jccsoco.org. The Yellow Ticket is a live multimedia concert event featuring the eponymous 1918 Pola Negri silent film with a performance of an original score by Alicia Svigals, one of the world’s foremost klezmer fiddlers. The score is the newest commission from the Foundation’s New Jewish Culture Network (NJCN) and marks the first feature-length film composition by Svigals who will perform live with virtuoso pianist Marilyn Lerner at each of the screenings of this cinema classic. Set in Poland and Tsarist Russia, the film portrays a woman’s struggle to overcome adversity in a story of secret identifies, heroic measures, and triumphant love. Presented by the Evelyn Rubenstein Jewish Community Center of Houston, Houston Cinema Arts Society, and The Museum of Fine Arts, Houston. Alicia Svigal's original score to the 1918 silent film classic, "the Yellow Ticket," starring Pola Negri, performed live by Klezmer Unfettered: Marilyn Lerner and Alicia Svigals Opening Night: Jewish & Israeli Film Festival Sat, Feb 8, 2014, 8pm Hebrew Union College Jewish Institute of Religion, Schaeur Chapel 3101 Clifton Avenue Cincinnati, Ohio Tickets The Yellow Ticket is a live multimedia concert event featuring the eponymous 1918 Pola Negri silent film with a performance of an original score by Alicia Svigals, one of the world's foremost klezmer fiddlers. The score is the newest commission from the Foundation's New Jewish Culture Network (NJCN) and marks the first feature-length film composition by Svigals who will perform live with virtuoso pianist Marilyn Lerner at each of the screenings of this cinema classic. Set in Poland and Tsarist Russia, the film portrays a woman's struggle to overcome adversity in a story of secret identifies, heroic measures, and triumphant love. Dr. Michael Meyer, Emeritus Professor of History at the Hebrew Union College-Jewish Institute of Religion, will provide some extra insight into the film! And stay after the film for a dessert reception and an exclusive meet-and-greet with the artists. A documentary film of a legendary songwriter (Save the Last Dance For Me, This Magic Moment, Viva Las Vegas) who was paralyzed by polio as a child. 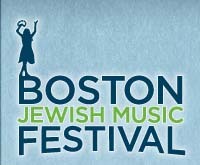 Presented by ReelAbilities Film Festival, in conjunction with the Boston Jewish Film Festival. Part of "Friday Night Live"
Tuesday, April 28, 2015, 7 p.m.
Maze (1893-1962) was well known for her lyrical poetry, which was published widely in Yiddish journals and newspapers. She was equally well known for the central role she played in Montreal's Yiddish cultural scene, including acting as a literary mentor to many young writers--a role that prompted some to dub her the "den mother of Yiddish Montreal." The evening will include a bilingual reading of Maze's work and a screening of a new short film about Maze, produced by the Yiddish Book Center's Wexler Oral History Project. The film, which includes excerpts from the project's 2013 interview with Irving Massey, Maze's youngest son, is the first of a series drawn from the project's Beyond the Books: Yiddish Writers and Their Descendants, interviews with the families of Yiddish literary figures. Massey, professor emeritus of English and comparative literature at the State University of New York at Buffalo, will be at the event and will participate in a discussion with the audience after the screening. Co-sponsored by the Yiddish Book Center, Jewish Women's Archive, and the Boston Yidish-Hoyz. This event takes place during National Poetry Month. The program is free and open to the public. For more information, visit yiddishbookcenter.org/events. A screening of the film "Beyle Schaechter-Gottesman: Song Of Autumn"
After Majid Shokor left Iraq for Australia, he began to research the classic Iraqi songs from his childhood, and was surprised to learn that most of the songs were composed by Jews who had left Baghdad for Israel in the early 1950s. Shokor sets off to meet the Jews who shaped Iraq's musical history and embarks on a journey to bring together musicians of different faiths—Jewish, Muslim, and Christian—who share his nostalgia for these well-known tunes. First Prize Winner of Best Documentary in the Baghdad International Film Festival. Dir. Safinez Bousbia. Documentary, UK, 2011. 88 min. Director Safinez Bousbia discovered the story of an orchestra of Jewish and Muslim musicians torn apart by war 50 years ago, and recently reunited for an exceptional concert. The musicians share a passion they never lost: the soul of Algiers, Chaabi music. After the Algerian Independence in 1962, Jewish musicians fled to France while the Muslim musicians who remained became scattered throughout the vast city of Algiers, lost to each other and forgotten by the world. The surviving musicians formed a 42-member orchestra and called it El Gusto. With the encouragement of my friend, Rabbi Dan Ain, I have made a new record of music--the new album, entitled Kol Nidre, is inspired by the high holiday liturgy of the Rosh Hashana and Yom Kipur services we've been leading together for the last five years--the album features Shoko Nagai and John Bollinger--it sounds really nice. The album is coming out in October, but this Friday night we'll be premiering a music video for one of the pieces that was directed by our dear friend Tatiana McCabe -- the video is lovely--it animates paintings by the reonwned artist Archie Rand. Shoko and I will play a few pieces from the record and Dan and Mike Neuhaus (editor of Relix Magazine) will have a discussion about the record...also refreshments will be served. FILM | "The Outrageous Sophie Tucker"
The rags-to-riches story of Sophie Tucker, an iconic superstar who ruled vaudeville, Broadway, radio, television, and Hollywood throughout the twentieth century. Before Beyoncé, Lady Gaga, Madonna, Bette Midler, Marilyn Monroe, and Mae West, Sophie Tucker was the first woman to infatuate her audiences with a bold, bawdy, and brassy style unlike any other. USA, 2014, 96 minutes, color, English. Director: William Gazecki. directed by award-winning filmmaker Josh Waletzky. In Song of Autumn, poet, songwriter, singer Beyle Schaechter-Gottesman, who has played a central role in reviving and inspiring interest in Yiddish song and poetry among a new generation of artists, discusses her life and creative path. This film is an interview, enhanced by photo stills and music, conducted entirely in Yiddish WITH ACCURATE AND COMPLETE ENGLISH SUBTITLES. With its lively circus and vaudeville music and set pieces, The Jester provides a glimpse of 1937 Warsaw’s thriving Yiddish revues and cabarets, which were destroyed soon after. Many of the film’s Polish- Jewish crew and actors were killed in the Holocaust, making the film’s touches of melancholy even more profound for today’s audiences. Poland, USA, 1937, 88 mins., directed by Joseph Green and Joan Nowina-Przybylski, Yiddish with English subtitles. Restored by The National Center for Jewish Film.